I have some spare motors for Lionel legacy diesels and one runs in wrong direction. 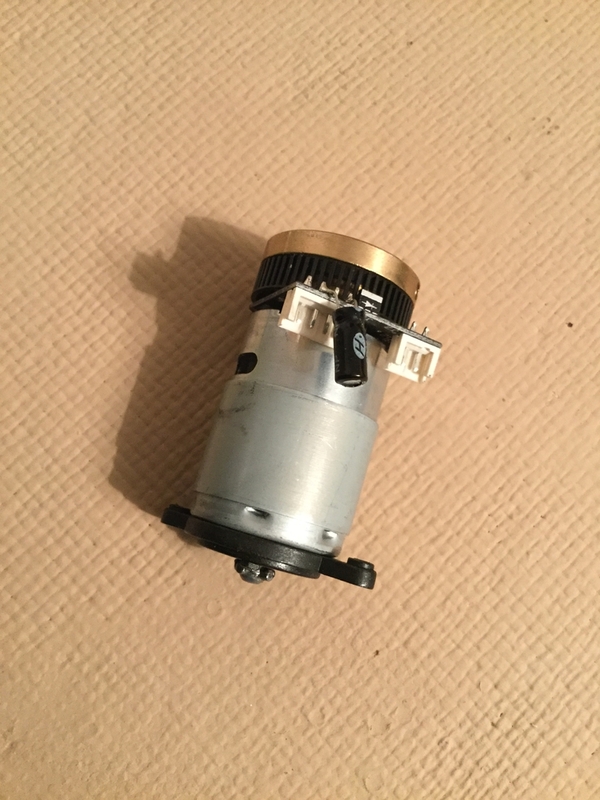 Is there any way to reverse this on the motor without changing wiring on engine? You can swap the pins in the plug. Swap the ones that go to the motor leads. Bingo. Just swap positions of the two motor wires on the plug you add, or swap the 2 wire positions on either board. That’s not what I wanted to hear. I don’t want to alter the wiring in my engine. Do you feel un-comfortable swapping the wires or do you just want to keep the wiring as is. Swapping the wires is a lot easier than reversing the speed control board. You need to be good at soldering. It looks like your flywheel has a set screw. That makes it a little easier. You need to check the height of the flywheel before you remove it. Remove the flywheel, then unsolder the speed control board from the motor and spin it 180* . Solder it back on. Reinstall the flywheel. Your polarity is reversed. Motor runs the opposite direction. Easier to do as Royboy stated. Swap the pins in the plug. No soldering involved. You will be the only one that knows it after we all forget about it here. From a design standpoint both wires could be black, or red or green, or polka dotted because the circuit polarity changes. In fact, other non-train designers I know of would use two of the same color and stripe one just so the end to end continuity can be tested in one try.. I think red & black were only chosen to throw some clue towards the novice owner that those would be motor power going in..after all the motors are often marked this way too; but that is for directional orientation to poles more than reversing or non reversing applications. Your train of course, but I why fret over colors without any real technical meaning. Hopefully you get the last laugh and an increase in value pays for the effort and higher risks involved. But I would take the low risk easy route because the chance at increased value from this being "correct" are sooooo slim. No grading guide exists on electronics the last I looked through TCA either. Those solutions given ARE the answers, good luck deciding. I understand and I appreciate the help. I don’t want to change the engine wiring for this motor then if I replace with a “good” motor later I have to change wiring again. I’ll look into fixing the motor that’s wired backwards. However, I bet I could swap out wires 5 or 6 times in less time. IF you later swap the motor you can just swap the wires back. You don't seem to have much confidence in the motors. It's your choice to make. Just have fun with it. No because motors for these engines are prone to squeaking so I bought extra motors. I have swapped out several. I flipped the board on the motor 180 degrees so it’s good now. Us service centers change out motors all the time. It's just a quick simple thing to change the wires so the motor starts in the right direction. Your not really modifying wiring, your just hooking up a component properly. Anyone in the future that has any repair experience it won't bother them for a second.